Description: Do you ever wonder what your autonomous robots do all day? Or have you ever wanted to put yourself in the driver's seat of your favorite RC car? Maybe you just want to add a security camera to your desk at work to see who's stealing your pens. Well thanks to the FlyCamOne eco, recording video is so easy and affordable that you could get a camera for each of those situations. 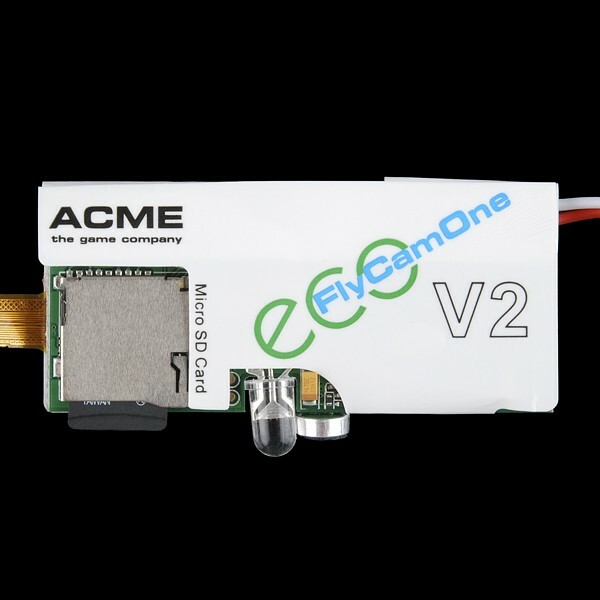 The FlyCamOne eco is a self-contained module that records 720x480 color video at 30 fps with sound! Not only that, but it can snap pictures as well. 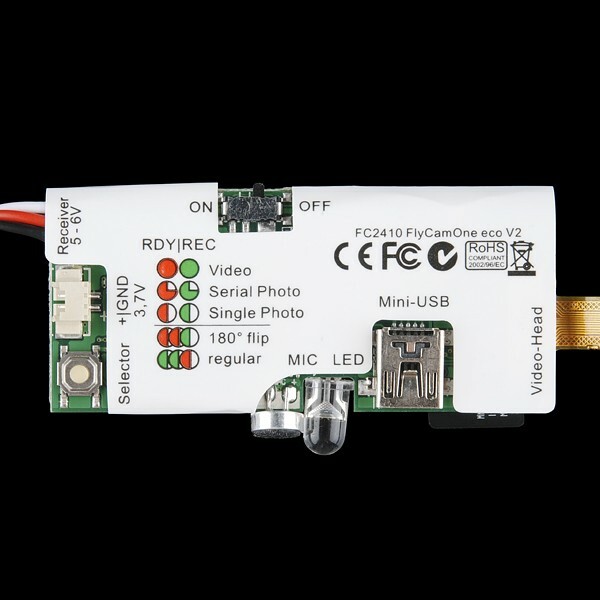 Simply plug in a Li-Poly battery, insert a Micro SD card and select the mode using the on-board push-button. 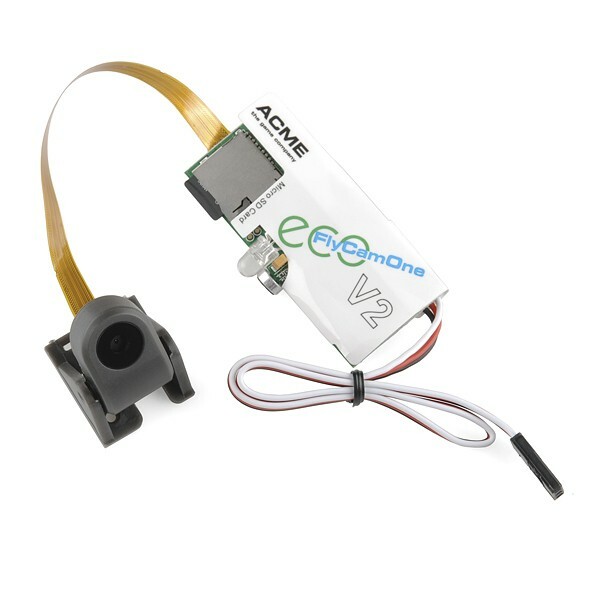 If your application is remote controlled, the module can also be powered and controlled from an open channel on your RC receiver. 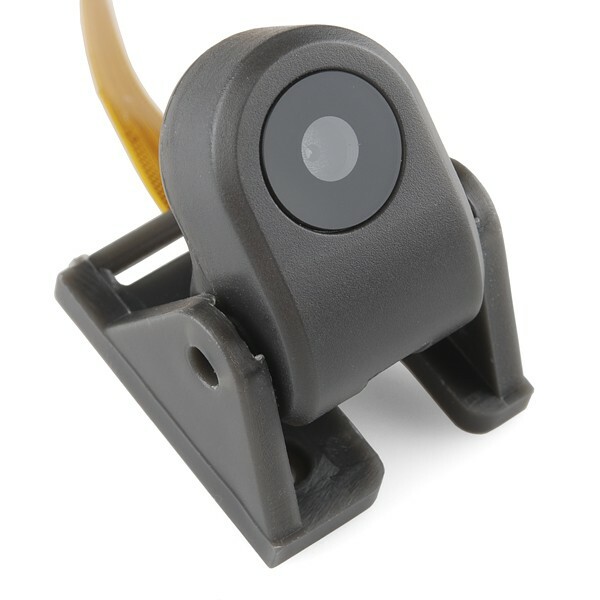 The camera itself is mounted on a swivel head and attached by a ribbon cable, allowing it to be mounted external to your project while keeping the control board out of harm's way. There's even a mode to flip the video 180 degrees so you can mount the camera up-side down. Navigating through the modes using the bi-color LED on the board can be a little confusing at first because the guide printed on the sticker seems to have "ready" and "record" backwards. When the light is green, you're on standby, when it's red, you're recording. The battery connector on the control board is smaller than the standard JST connector that comes with our Li-Poly batteries. However, we've found that our JST-SH connectors, which can be found in the related items below, can be used to plug into the board although they don't fit perfectly. Note: A firmware update is required to get full 720 x 480 resolution from the unit. You can get the firmware and instructions in the documents below.